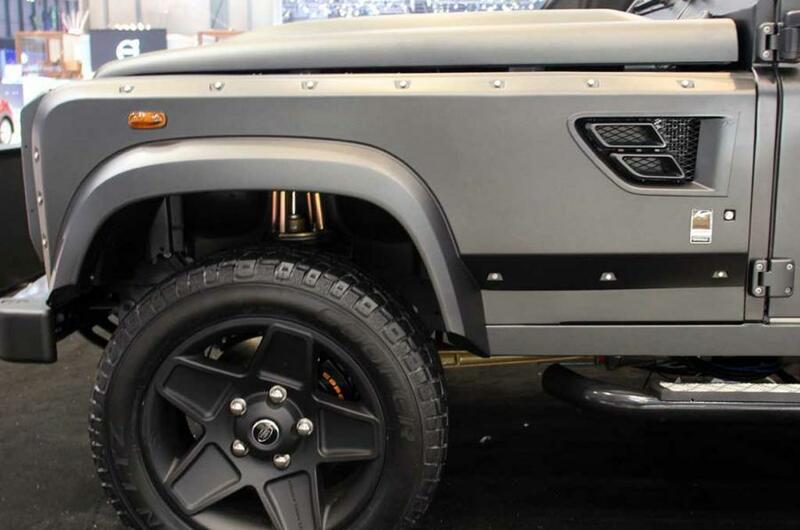 Debuting today at the Geneva Motor Show, the brand-new Flying Huntsman 110 WB 6×6 concept has turned a lot of heads in the off-roading world. 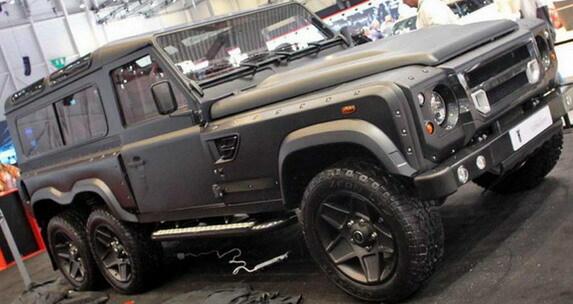 The beast of a vehicle was produced by Kahn Designs and is based off of the Land Rover Defender 110. 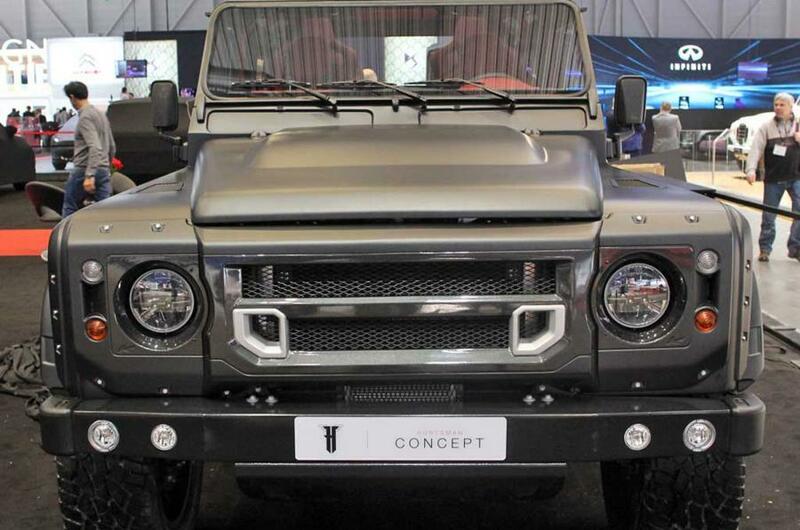 According to the company, the new Flying Huntsman will feature a 6.2-liter GM LS3 V8 engine, as well as a six-speed automatic gearbox with tap shift control. All of that helps the ride to crank out an explosive 430 bhp. Throughout the entire design process, Kahn kept off-road performance at the forefront of their minds. As far as availability goes, the new off-road beast will come with 5 different variants, including 4 and 6 wheel versions and a range of hard top and pickup options. 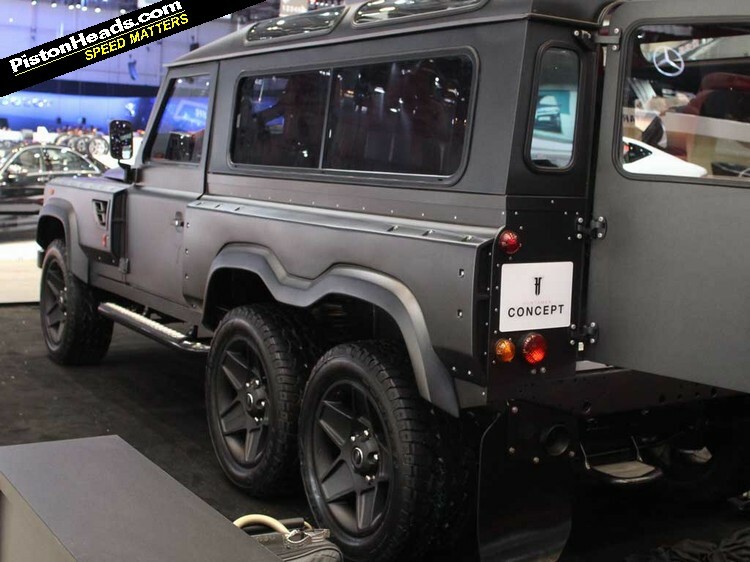 This entry was posted in Culture and tagged automatic gearbox, Flying Huntsman 110 WB 6x6, geneva motor show, Kahn Designs, Land Rover Defender 110. Bookmark the permalink.